Going fast is great and all, but coming to a complete stop is equally as important when you're riding. Hydraulic disc brakes provide unparalleled braking power over mechanical disc brakes and require less maintenance. The Magura MT8 SL Carbon Lever Brake is perfect for cross country and marathon races. It is an ultra-lightweight brake thanks to the Carbotecture SL housing. The 1-finger HC Carbolay lever blade provides high braking power and a comfortable feel. It features a 2-piston forged monobloc caliper, a flip-flop lever design so you can use the brake on either the left or right side, an easy bleed design, a carbon handlebar clamp, an adjustable lever reach, and an adjustable banjo fitting. 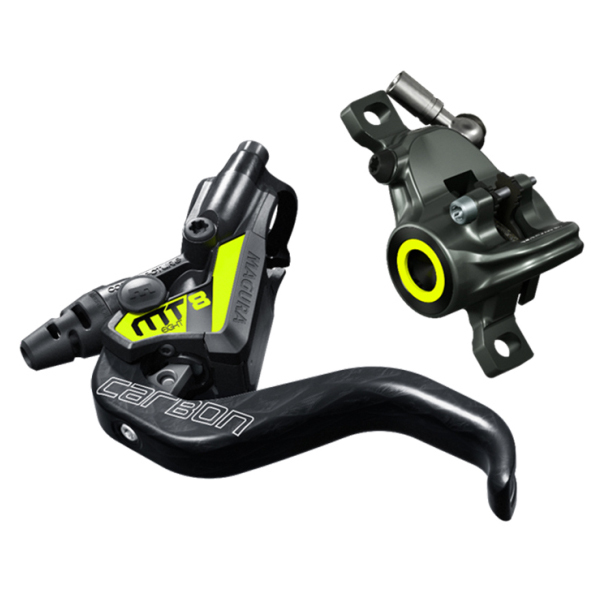 If you're looking for incredibly lightweight brakes for your XC riding and racing, then you'll love the Magura MT8 SL Carbon Lever Brake.